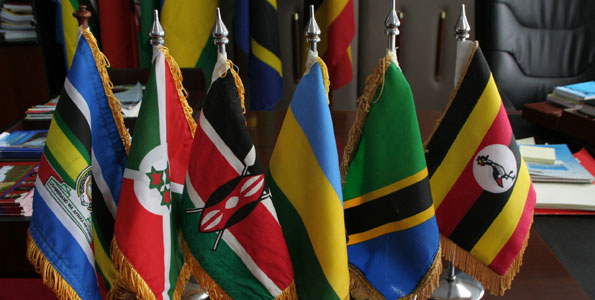 Believe it or not: already in August the East African Community (EAC) wants to conclude a monetary union that should be signed by November 2013. The five head of states decided in Arusha, Tanzania, just one week ago that they want to achieve a further step in regional integration, hoping that a High Level Task Force consisting of senior experts will finish all negotiations in some months and resolve the outstanding issues. According to Rwanda’s “The New Times,” Rwanda’s Minister for EAC Affairs Monique Mukaruliza said that the issue of a single currency was in its final stages of conclusion. Ever since its re-introduction, the EAC has moved on from a simple free trade agreement to a customs union in 2005 and a “fully-fledged” common market in 2010 that should be implemented by 2015. The plan to establish an East African Monetary Union (EAMU) has been outlined from the beginning of EAC and serious discussions started back in 2007. Finally, negotiations for the protocol were opened in January 2011. Now, an economic union should be achieved with a single currency, before a political federation should come into place in 2015. So far, not all too much progress has been achieved. Most of my friends in Kenya or Tanzania that I have asked about a common East African currency had no idea what I am talking about. Maybe, this is reflecting a general ignorance of EAC activities as the integration efforts are, quite unfortunately, very much elite-driven and elite-based. Like so many other organizations that are eager for further integration, the work of the EAC hardly translates into any perceived impact by the citizens of the region. In fact, it would be necessary to read the weekly newspaper “The East African” which is hardly affordable for most wananchi as it costs about US$1 in Kenya, Uganda and Tanzania. The idea of a common currency is not new in East Africa. The EAC already existed once from 1967 to 1977 and at the time of its collapse, it was already a monetary union. It included a currency board and a parity currency, thus each country had its own currency, but converting at par: one Uganda Shilling equaled one Kenya Shilling and one Tanzanian Shilling. This time around, the EAC is even more ambitious and wants to establish a single currency for the bloc. At the moment, a feasibility study on the establishment of a regional central bank is ready, a monitory committee to oversee the implementation of the protocol is in place and a debt ceiling policy for each of the partners to ensure financial stability has been set. And yet, many experts, including Oxford economist Paul Collier, are warning that the process should not be rushed, “The New Times” reported. Many things are not clear until now, e.g. whether the different currencies have a fixed mutual exchange rate monitored and controlled by one central bank. The advantages of the monetary union are numerous. The most important point for me is that the monetary union will be the last step before an East African federation is established – or the United States of East Africa. As a federalist, I ultimately hope for regional integration efforts all around the globe, and the EAC could be a role model for others from around the world. For the EAC itself, the most important reason for a monetary union is that the common currency helps to harmonize their exchange rates in order to keep the value of their currency at a certain level. Eventually, when the single currency is in place, the costs and risks of transacting business due to the different currencies and exchange rates will be reduced across national boundaries of EAC member states. Importantly, a common currency will provide a strong incentive to integrate the different economies by enabling the expansion of businesses and exchange of goods across borders at minimal cost. Thus, the EAMU can cause a trading boom in the region that has the potential to uplift millions from poverty through rapid economic growth. Finally, a common currency can help East Africans to get a sense of belonging and shared heritage, which could help to forge stronger political, social and economic ties. Therefore, the introduction of a monetary union is certainly a step that any pan-Africanist proudly can be proud of. However, there are many challenges that a single currency is facing. First, one may doubt if the EAC is actually prepared to undertake such a major step. The EAMU should have already been signed since 2012, but as with so many other issues in the EAC, the single currency has been delayed. Despite some positive announcements that the deadline would be met, the EAMU ultimately had to be deferred the matter to the second half of 2013. And it is hard to be certain that it is going to work out this year. Second, there remains the question of how to deal with the budget deficits. Although the debt of the member states is comparatively small in comparison to the average of European countries, the EAMU, like any other common currency, is an invitation to make more debt or establish debt irresponsibly – as it has been seen in the eurozone. Third, even if a mechanism is in place, like the Maastricht Criteria in the eurozone, a strong and independent body must be able to enforce sanctions in case a member state is not going to follow the rules. Considering the high autonomy that each EAC member state has and the very limited power of the EAC bodies, it does not seem to be likely that a newly created East African Central Bank will receive enough powers and competencies. Yet also practical questions arise, like how the proposed East African Central Bank (EACB) and the national central banks deal with any mismatch between revenue and expenditures. Fourth, member states still depend heavily on foreign aid to sustain their economies and there is a very imbalanced economic growth among members, particularly between Kenya, the economic powerhouse, and the rest of the countries. Fifth, each EAC member state has different inflation rates (and all of them are unsustainably high) and debt-to-GDP, which need to be harmonized for the monetary union to work. Sixth, also tax and VAT harmonization will be a huge challenge and most likely impossible but even tax co-ordination seem to be a rough endeavor among the members, although it will be a necessary step. Finally, as outlined in a blog post, not even the common market is fulfilled by any means in the EAC. Labor and capital is not moving freely, particularly Tanzania is scared of it northern neighbor and how it negatively impacts the over-regulated and inefficient system in Tanzania. First and foremost, the EAC needs to achieve macroeconomic convergence. In other words, criteria have to be developed among the member states to examine fiscal deficit and debt ratios, inflation, external account and interest rates. Such a framework needs to be able to create fiscal discipline, strong surveillance and enforcement mechanisms as well as reliable and robust statistics. Another key technical issue is the scope of EAMU, which is still not clear. The impact of the Euro crisis is felt among East African policy makers and although the issue is always high on the EAC agenda, the enthusiasm about sharing this major step forward to their own population is rather meager. The Eurozone has given the EAC lessons about the importance of harmonization and coordination of fiscal policy. In fact, it is the European Central Bank which strongly recommended the effort to establish an EAMU to have economic as well as legal convergence and market integration. Most likely, the EAMU is being fashioned after the eurozone model despite the challenges that the Euro has faced continuously during the past years. It is not yet a surprise because the euro is still a success and despite populist threats, the currency will survive the crisis and is a model for any efforts to establish a single currency. What is important for the EAC member states is to know that it will take a long time before a single currency will actually be in place. Also in the EU, the introduction of a single currency took ten years before citizens of the eurozone started to use the Euro. Policy makers from the EAC member states will need to address the single currency issue in the public, and not only in the EAC meetings. So far, the issue of a common currency has not arrived to the wananchi of the five countries. And it is exactly the attitude of people like Tanzanian president Jakaya Kikwete who argued in a Zambian newspaper last year that a monetary union has no rush. While he is right that even the customs union is not yet implemented, it is mainly his own government that has to be hold responsible for that! While we will need to wait for 2015 for a hopefully more pro-integration government in Tanzania, the new leadership in Kenya looks quite promising that the agenda of a common currency will be pushed forward. Nonetheless, I am quite pessimistic that any protocol about a monetary union will be signed in 2013. There are just too many open questions left. However, a single currency is the way to go. Interesting post. I’m not as optimistic as you are about the creation of a political federation in the short-term. But as you say, there are many challenges ahead. A single currency?? That is not the wisest way to go! The financial problems in Europe are much pegged on the single currency!! There’s much to be done than focusing on a single currency.